Within the confines of this sword lurks the captive remains of its victim. 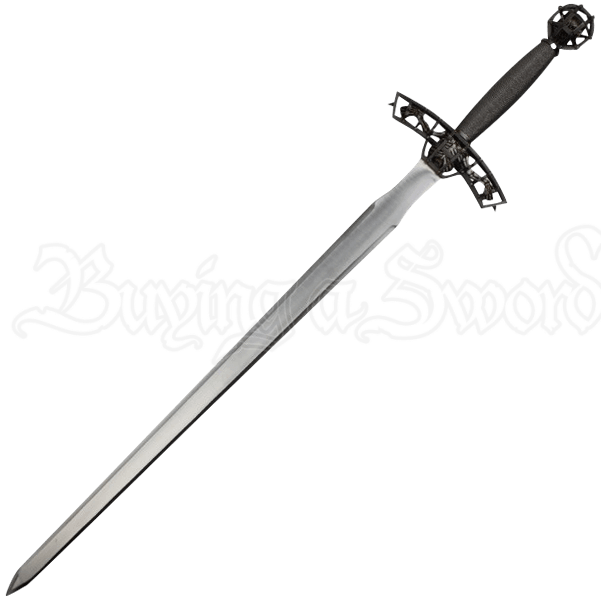 The Caged Skeleton Longsword is a unique display weapon that blends medieval style with something truly macabre. Frighten and intrigue with this gothic blade! 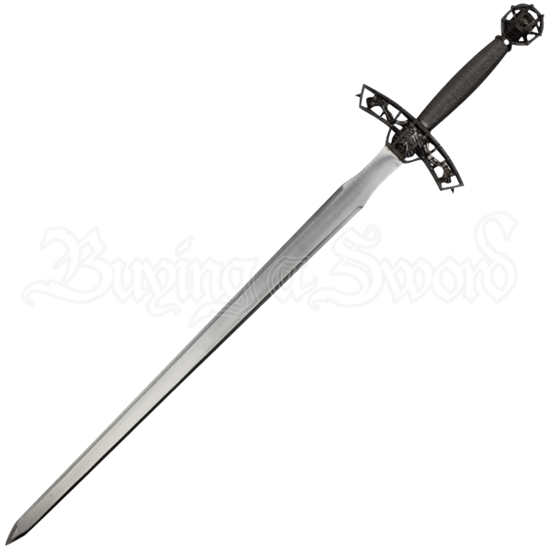 Made of stainless steel, the blade is followed by an antique finished hilt. The hilt of this sword is anything but ordinary, as it details a skeleton torso trapped in a spiked metallic cage, the bony arms of the skeleton creating the arms of the guard. The grip is then wrapped in wire, creating a textured handle. A weathered skeleton head is imprisoned in the round metallic cage of the pommel, finishing off this fantasy sword in truly gruesome style. With an included matching wooden plaque for easy wall display, this horror themed sword is ready to bring its skeletal style to your settings or sword collections.